WOW!!! WHAT AN EXCELLENT EXAMPLE OF A TOYOTA COROLLA!!! THIS CAR IS A MUST SEE!!! Featuring a Powerful and Economical 1.8ltr engine, Automatic Transmission, Bluetooth Connectivity, Reverse Camera, Central Locking, Airbags, Power steering, Power windows, Plus Much, Much More BE QUICK WITH THIS ONE!!! 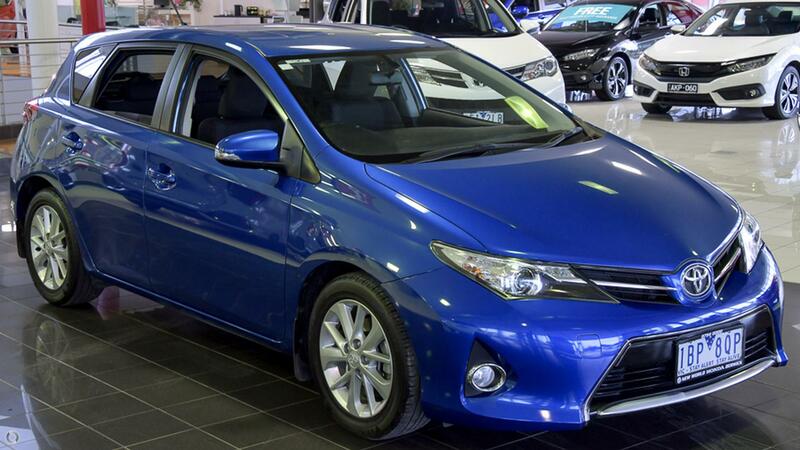 Book a Test for yourself with our friendly Staff and experience what the Corolla Ascent Sport is all about. Our Dealership is part of a large family owned group of major dealerships and we have an outstanding reputation for customer service. We offer personalised Finance with flexible terms and *Extended warranties are available that offer genuine protection. We are incredibly proud of our Business and the service we provide, come and experience this for yourself; we are located just minutes from the Monash FWY. Our dealership offers onsite test drives where we can arrange to bring the vehicle to you.